There’s no catharsis quite like industrial catharsis. Listening to the early Wax Trax records, it’s like reliving the anger and energy of youth again through saw-edged electronics and pitch-bent screams. Youth Code has a grasp on this kind of brutality, putting together raw, all-hardware beats and harnessing a sound that’s incessantly vicious and violent. 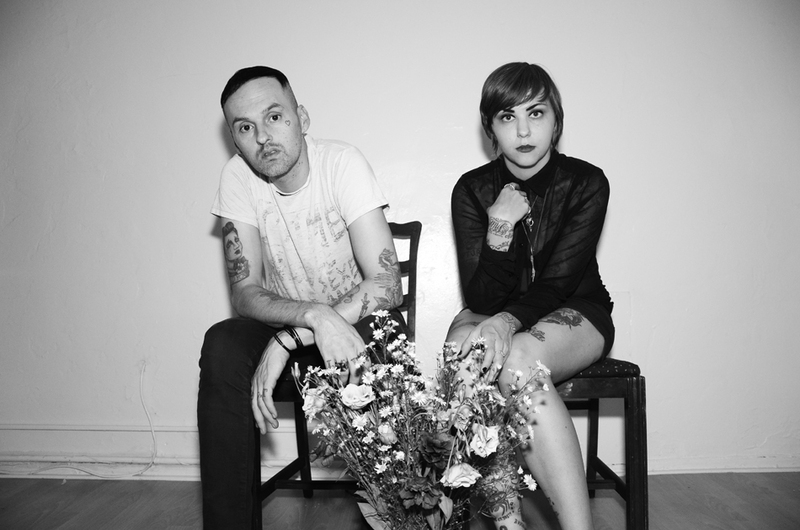 The duo, hailing from Los Angeles, have a 7″ out June 23, which is being put out by, surprisingly, Angry Love Productions. The label is a creation of Psychic TV (the post-Throbbing Gristle project of Genesis P-Orridge) and the sound seems to fall in line with TG’s famously confrontational attitude. Youth Code is also set to release a full-length this summer with Dais Records and are planning a tour, so paint on your black jeans and put on your best rivethead grimace. This entry was posted in Tracks and tagged Angry Love, Dais, Genesis P-Orridge, Psychic TV, Youth Code by Brandon. Bookmark the permalink.